Exclusive! 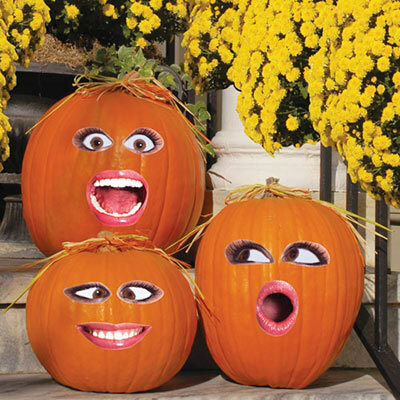 An easy, mess-free way to embellish Fall pumpkins! Simply peel and stick these cute paper stickers onto your own gourds. This is the perfect way for little hands to get involved in decorating for the autumn holidays. No sharp knives or cutters needed to create a fun and festive jack-o-lantern. 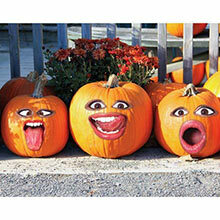 Plus, your unique pumpkins will catch the eye of every passerby. Includes 7 pairs of eyes and 7 mouths (pumpkins not included). 3 sheets.